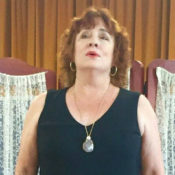 Your complimentary first singing lesson with Christine at her singing studio in Epping NSW is an opportunity to feel at ease as you start to learn how Christine’s love of music and desire to help you learn in a relaxed and friendly way, builds the rapport. Singing is the opening of one’s heart and soul and is a very private and enriching experience, so Christine’s knowledge as an artist and performer in the singing industry, ensures that you have an incredible opportunity to become a better singer. If you are wondering “how do I learn to sing?”, then book in with Christine, singing teacher Sydney, for a free 30 minute singing lesson. Christine Beasley works with anyone who wants voice lessons to learn to sing (*from 12 years to mature), offering 30 minutes, 45 minutes or 1 hour singing lessons. Looking to pursue a singing career, or interested in singing recording, or even if you just want to learn to sing better, then singing teacher Christine Beasley will help you to develop your confidence in performing. Costs of these singing lessons will be given at the first meeting, together with discussing the basis of the vocal technique for teaching the prospective new student. Christine’s Singing Studio is located in Epping NSW, a 20 minute train or car journey from the city of Sydney. Each year Christine also provides her students the opportunity to develop confidence by performing in a singing concert that she organises. What better way to show off your new skills, than a performance in front of a friendly audience?